Sometimes Ho Chi Minh City feels like its own separate country with its various districts, its sprawling urban landscape, and the sheer site. 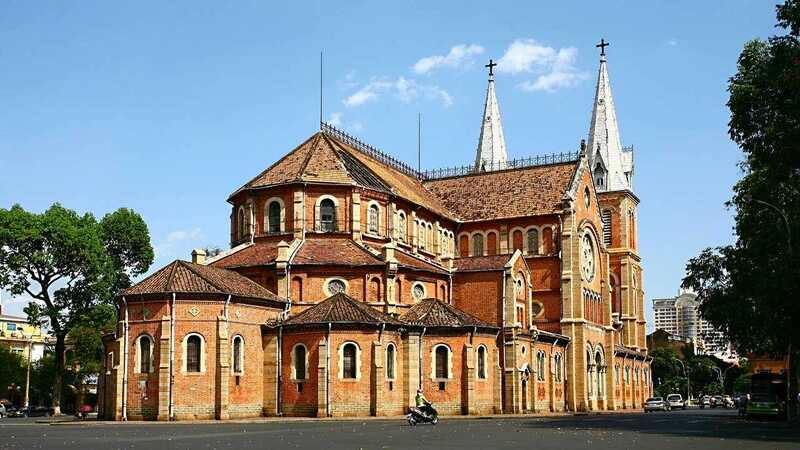 You can live a lifetime in the city and still discover new places every weekend around Saigon. 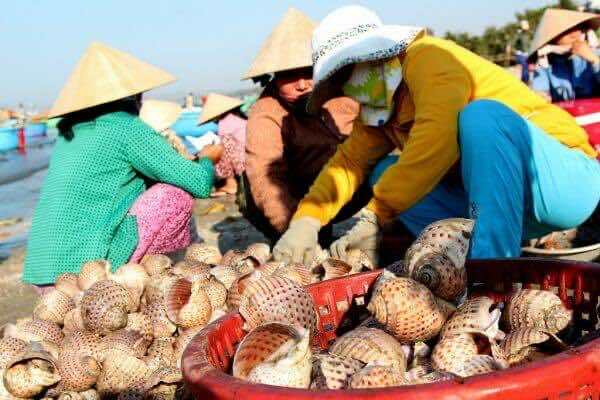 In this article, we will share a beach city with special things to explore – Mui Ne, Binh Thuan province, Vietnam. 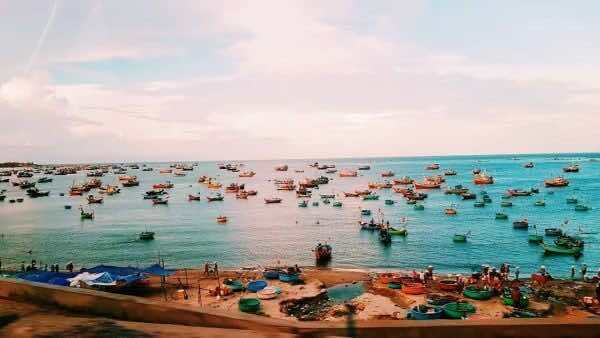 Mui Ne was once a tiny fishing village on the coast, around 200 kilometers from Ho Chi Minh city. In recent years, development has changed the face of the city and resorts line the 10-kilometer stretch of beach. 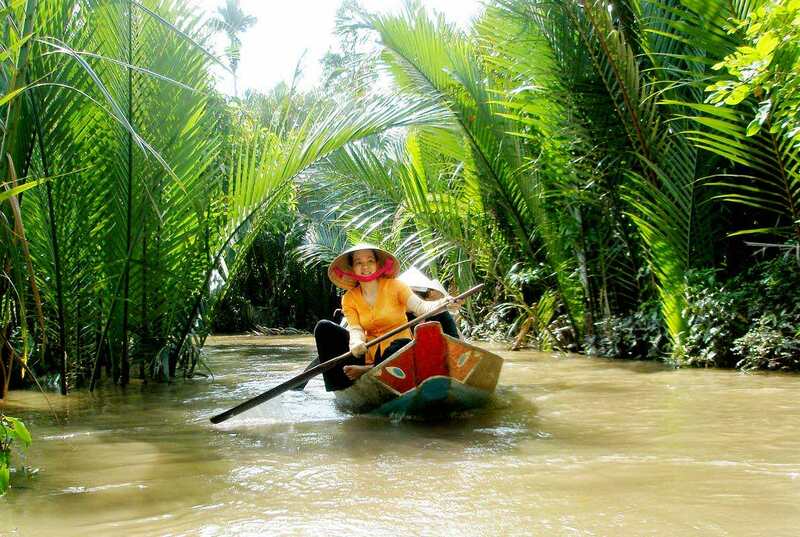 Mui Ne has become a favorite destination for many Saigonese to spend a getaway weekend from the hustle and bustle of the city and get out into nature. 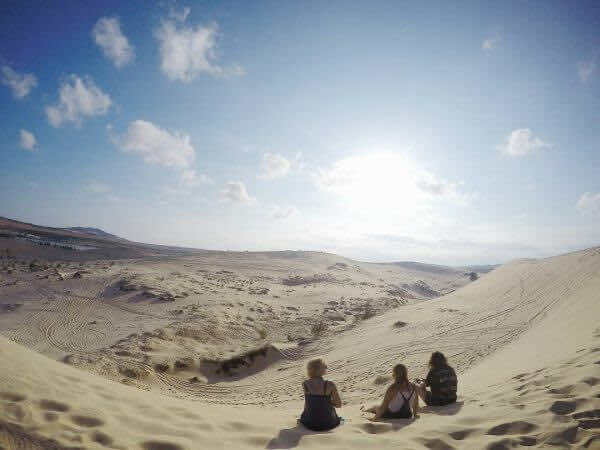 International travelers have also explored Mui Ne for themselves thanks to the town’s long stretches of beautiful beaches, kite surfing, the abundance of delicious fresh seafood, the two romantic lakes of Bau Trang as well as the immense sand dunes. 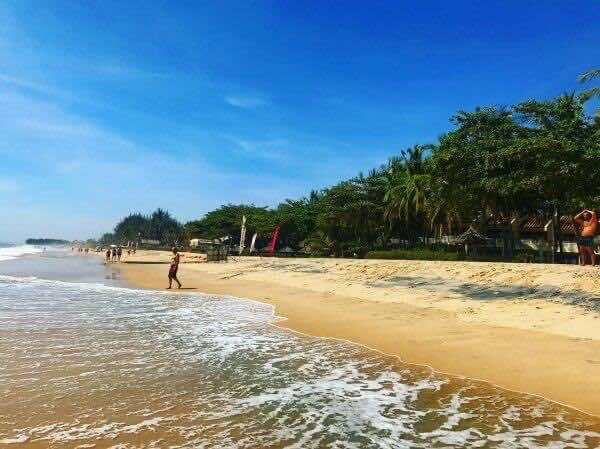 After doing enough exploration or relaxing on the quiet Mui Ne beach, we have made a list of the top priority activities to do in Mui Ne that you should give it a try when paying a visit to this beautiful beach. 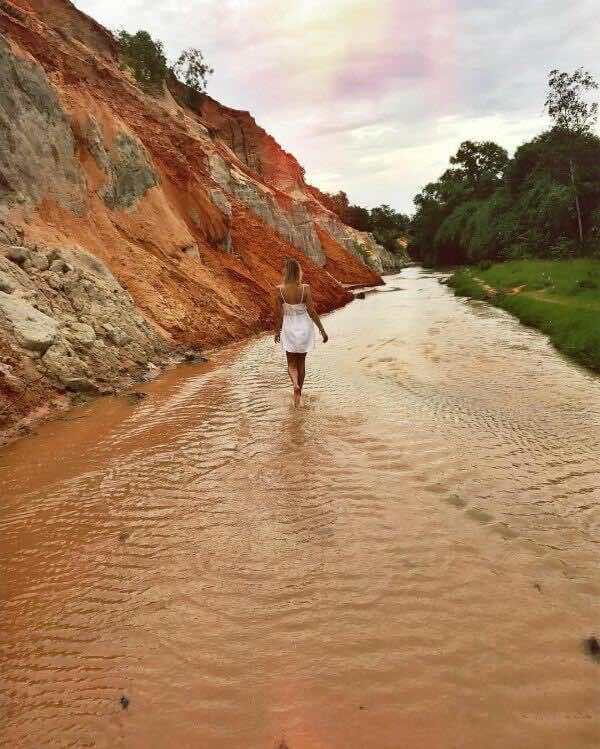 Just about ten minutes from the main resort area, you’ll find the Fairy Stream directly off of Nguyen Dinh Chieu – Mui Ne’s main road. 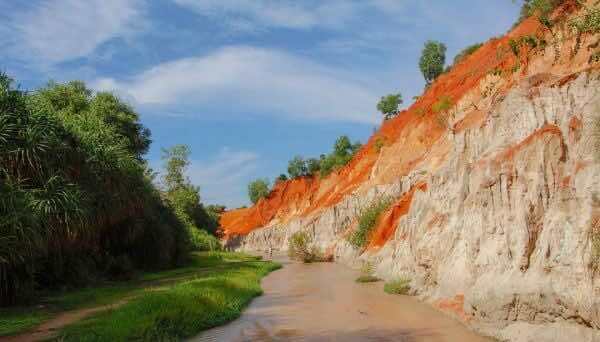 The entrance to the Fairy Stream is next to a small bridge about 2 km east of the edge of Mui Ne village. There is a gate marked as the entrance and it is completely free. It is a photography hotspot thanks to its dramatic landscape or reds, oranges and pinks. Kick off your shoes and walk through the crystal clear, ankle deep water of the Fairy Stream. 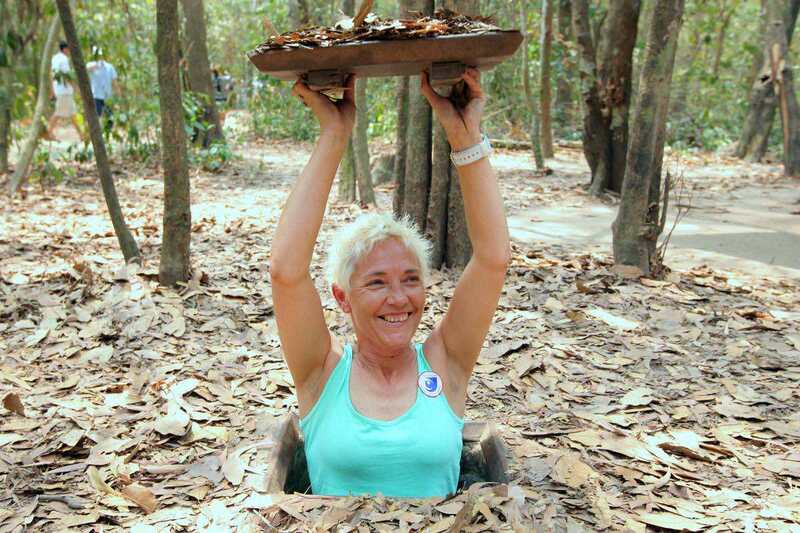 It may seem like a tourist trap but this is one of the best amazing activities in Mui Ne. You’ll be getting into some impressive limestone formations which make it feel like you’re in a much tinier version of the Grand Canyon. 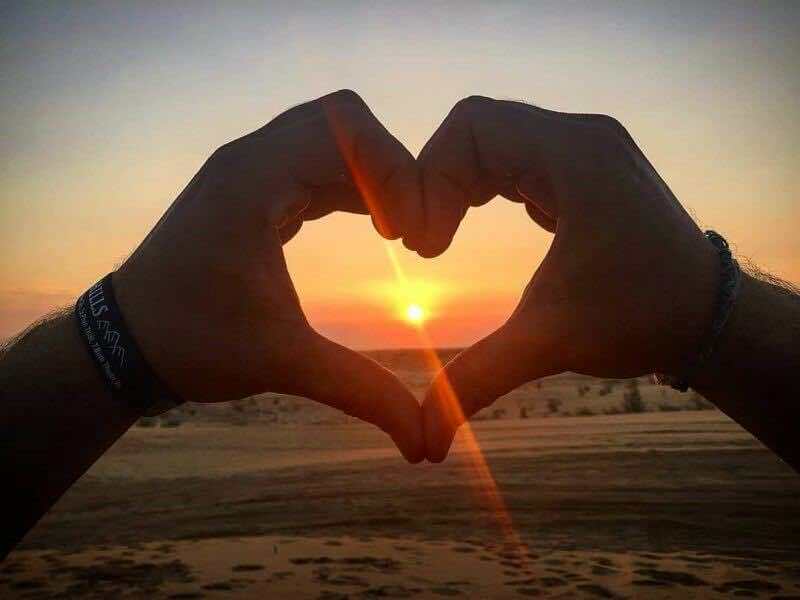 If you are an adventurous visitor, you can climb to the top of the sand dunes and pitted rock formations, both of which offer breathtaking views of red-hued waters and intricate stalagmites. 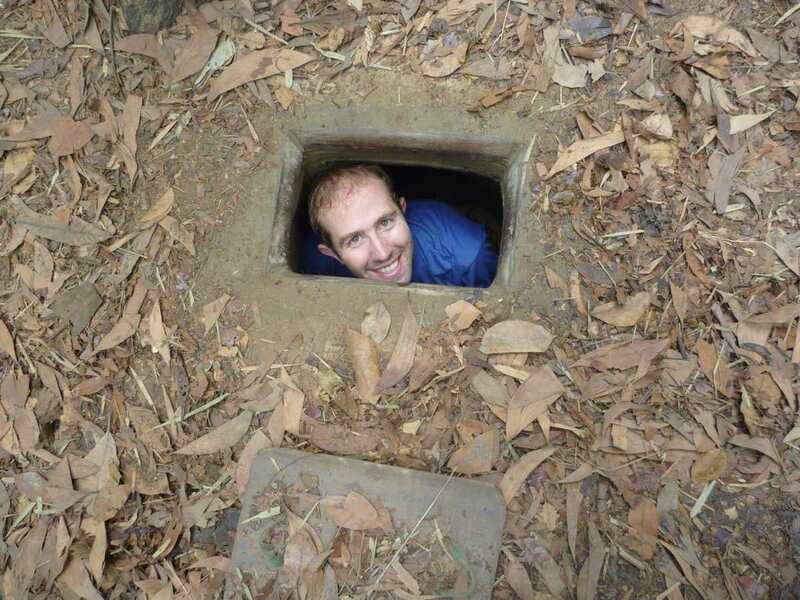 At the end, you’ll see a small waterfall. 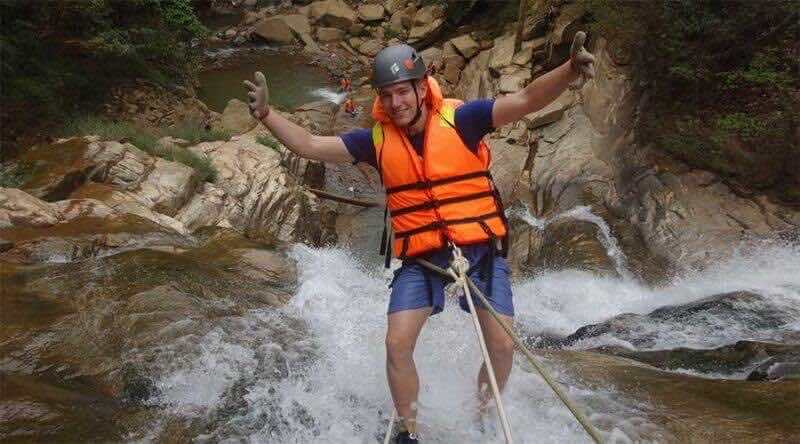 The stream is never more than about knee deep, except at the waterfall where it can go up too waist level, so there’s no need to bring good shoes. The white sand dunes are the most popular attraction in Mui Ne. Since the white sand dunes cover a larger area than the red dunes, it’ll be easier to find a spot for yourself and you can also get some great photos without too many people in them. You can walk around, snap over a hundred pictures, and enjoy the several lakes and swamps found right in the middle of this desert. Undoubtedly, coming in the early morning or late afternoon is the best as you’ll get good lighting and be able to enjoy the view of the sun rising or setting right on the water. When you get there, you can rent a quad bike or go zipping around over the white sand dunes, either by yourself or with a tour guide. 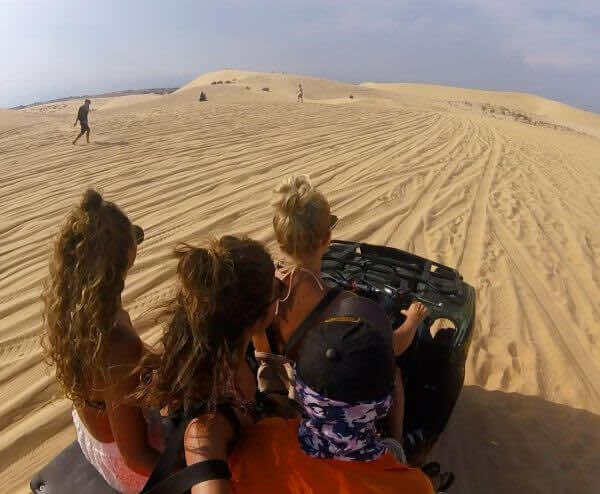 During the day, riding a quad bike is a great experience since the dunes offer copious amounts of open space to let loose and go crazy. 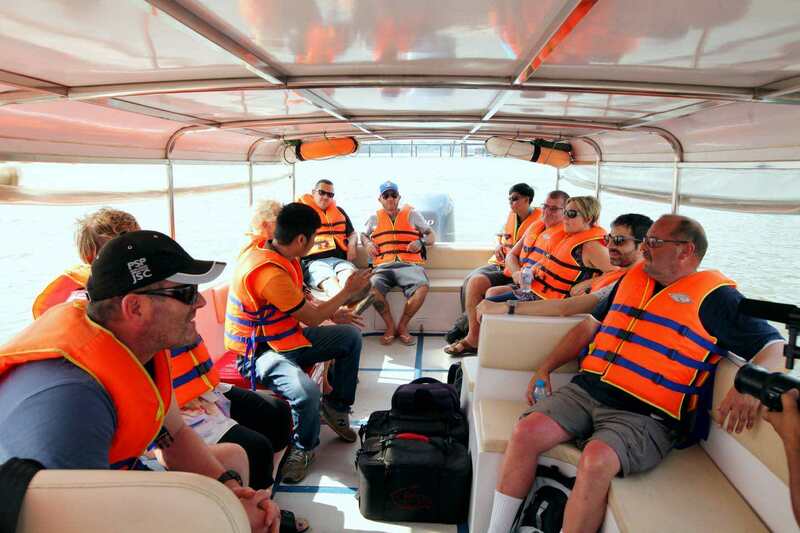 You can hire a quad with the price of about VND 400,000 for 20 minutes, but the price can be bargained. 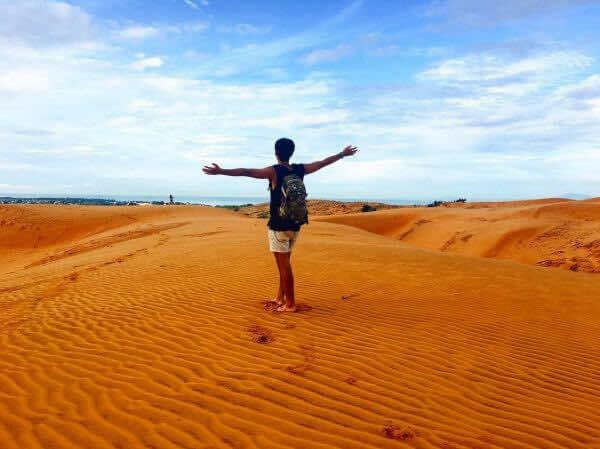 Experiencing in red sand dunes is one of the most unforgettable memories in Mui Ne. 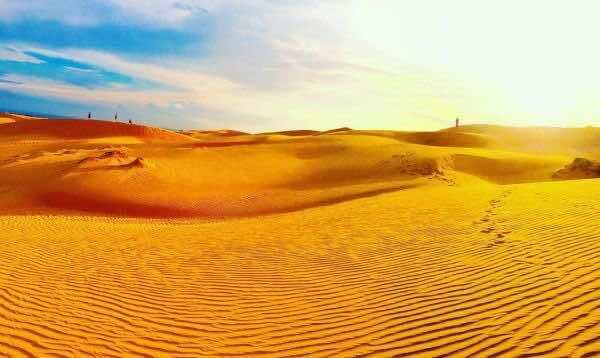 Coming to red sand dunes, tourists have a chance to admire this natural wonder which changes day by day and hour by hour in the harmony with beautiful sunlight. The color of sand changes constantly from yellow to white, pink and red, depending on the sunlight. What is more amazing than climbing to the top of hill, and then sitting on a thin plank to freely slide down to the hill’s foot. 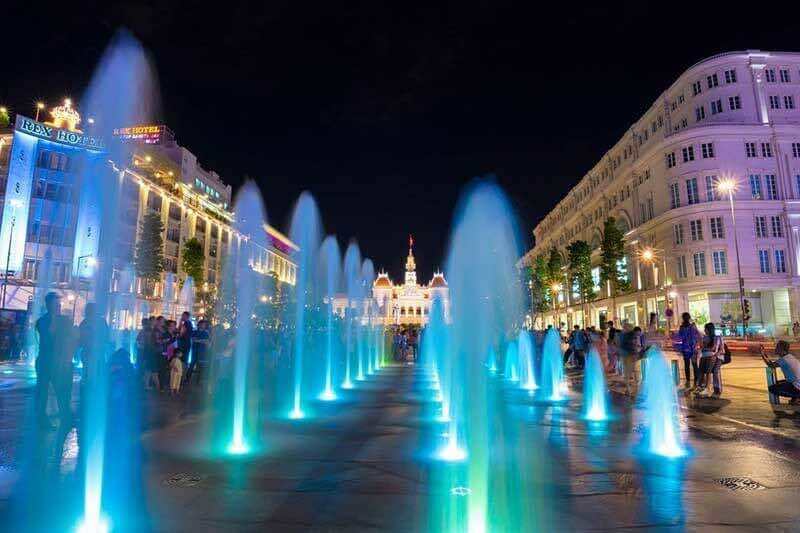 This will bring tourists a feeling as if they were flying. 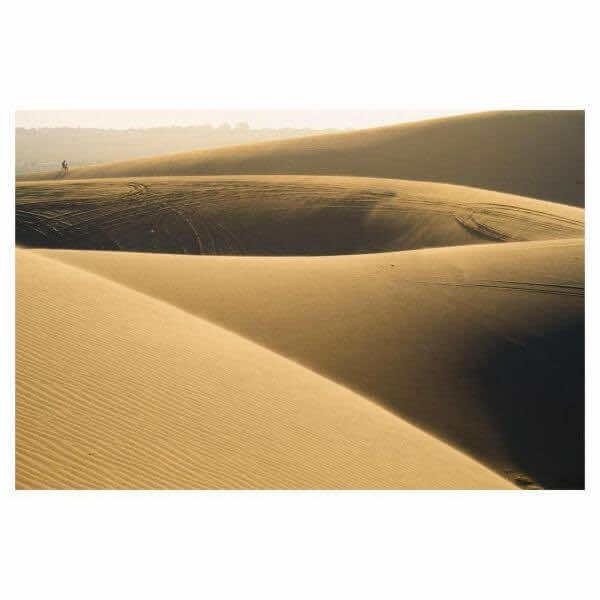 The higher sand hills are, the more amazing you feel. Mui Ne, in particular, is a kite surfer’s paradise. The best time to head to Mui ne for wind and kitesurfing is October to the end of March. Peak time is December and January. 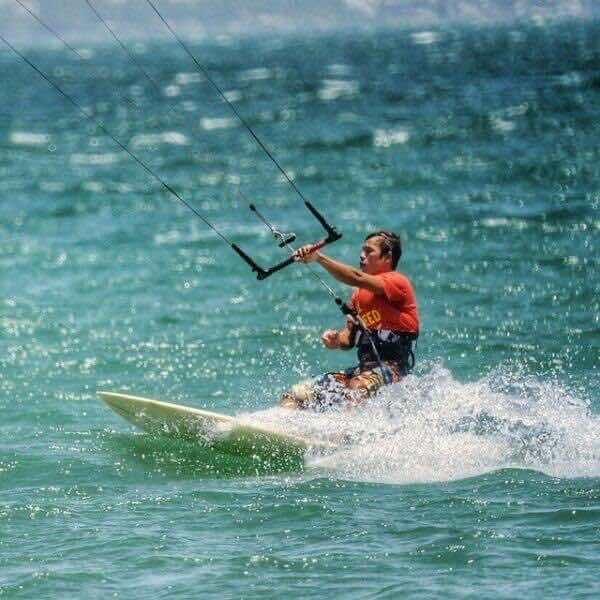 There are many kitesurfing schools in the area that offer courses for amateurs at really attractive prices. 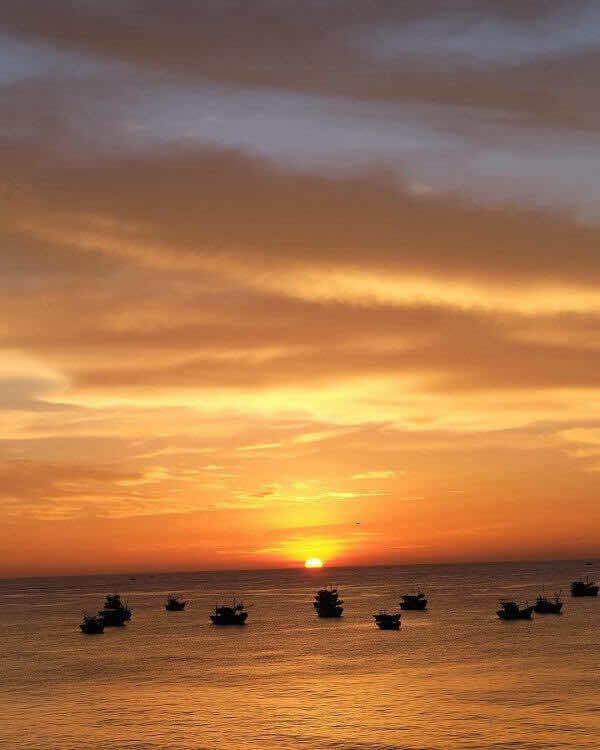 Sunrise and sunset in Mui Ne are among the best in Vietnam and you’re spoilt for choices. This little village is absolutely magical at sunrise and sunset. Dozens of brightly colored boats adorn turquoise waters. 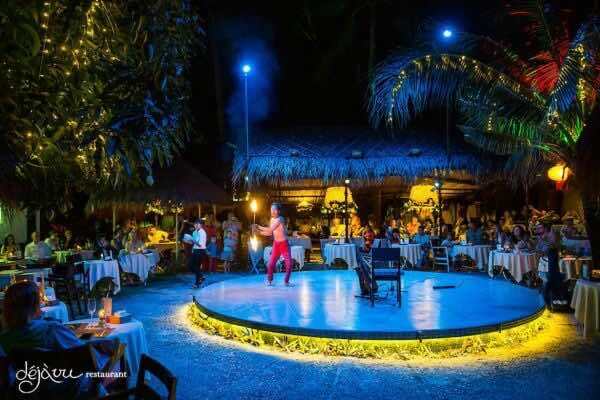 Most Mui Ne hotels and resorts are smack-dab on the beach, and therefore one of the most beautiful and free things to do in Mui Ne is simply to kick back on the beach and wait for the sky to do its thing. Or you can choose to have a drink in hand while watching nature’s beauty then there are plenty of restaurants and bars lining the main beach. 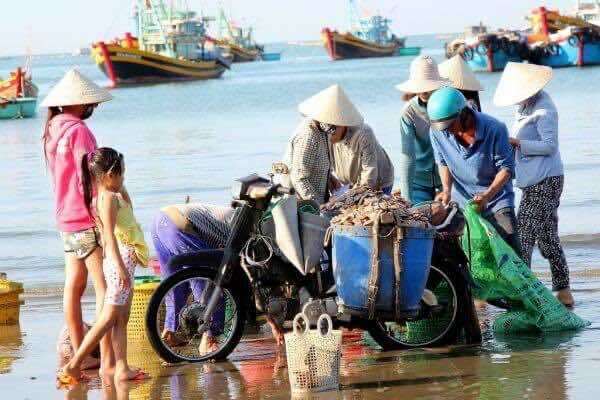 Mui Ne, like most other towns on the water, has a lively fishing village where fishermen go out early in the morning and sell their catch at the market. 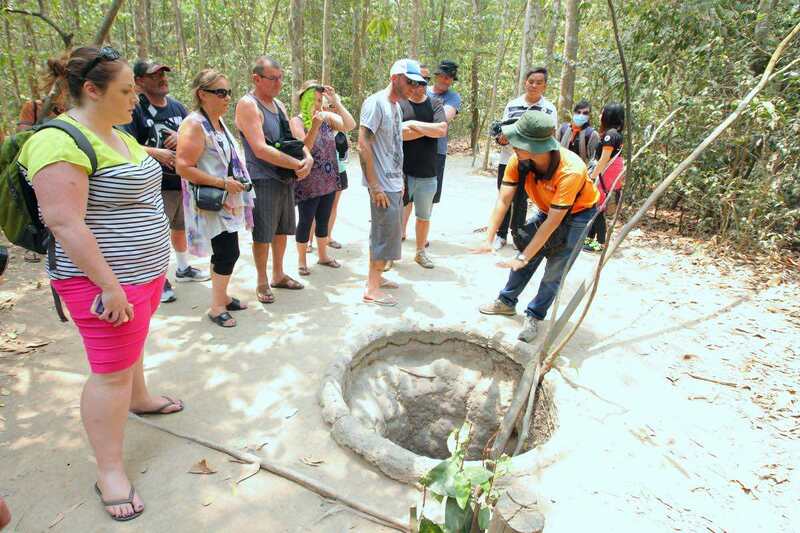 In addition, tourists can experience a fascinating peek into the lives of local Vietnamese fishermen. 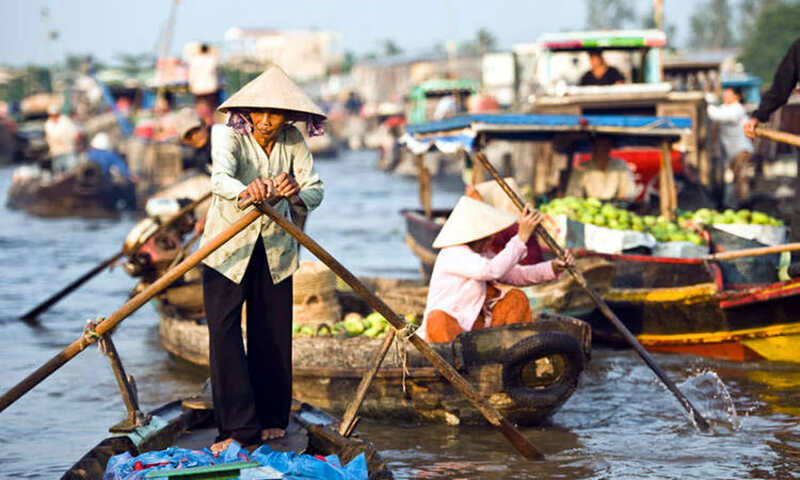 The whole deal is a bit of a family affair – the husband catches the fish, the wives sort them out into buckets and sell them to local traders, restaurant owners, street food vendors and even tourists. 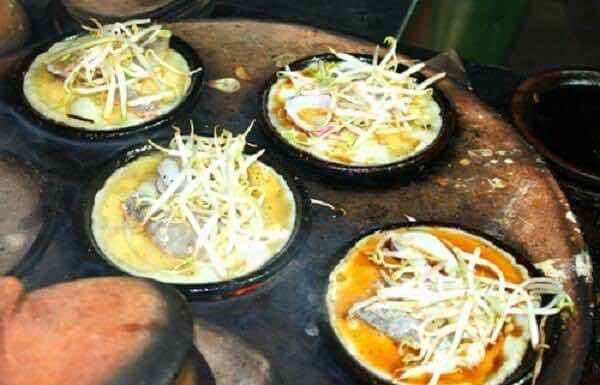 The first thing that pops up into my mind when someone talks about dipping sauce in Vietnam is always fish sauce. 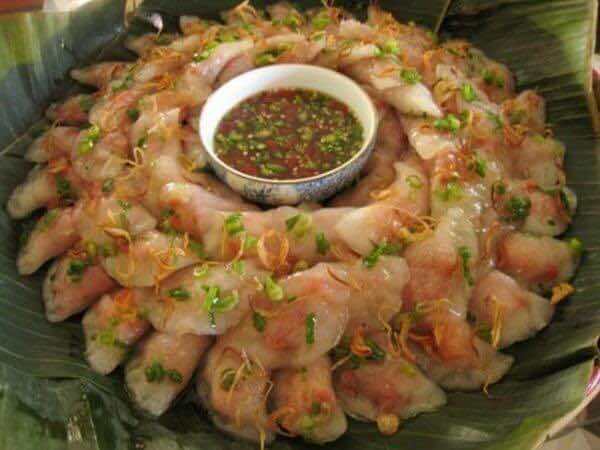 In Vietnam, we call it nuoc mam. In my opinion, fish sauce is our national sauce. 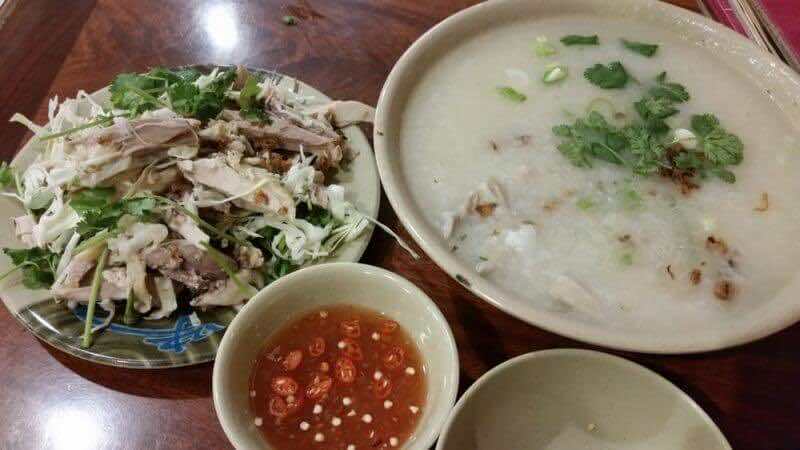 A typical Vietnamese meal always has fish sauce in it, whether as the dipping sauce or as a replacement for salt when seasoning the food. 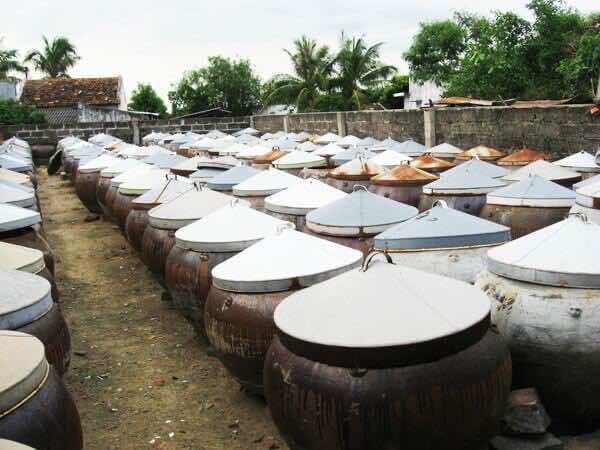 So how is fish sauce made? All you have to do is coat fish in salt, and ferment it up to one or two years. That said, the ingredients are very simple, just fish and a lot of salt with a proper container. After a year or two, you know the sauce is ready to enjoy when the extracted liquid is brownish or yellow. 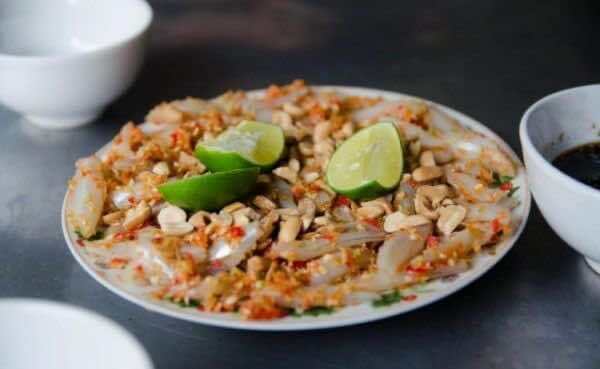 Travelers are not only amazed by Mui Ne’s outstanding natural beauty, but they are quickly addicted to the local food. 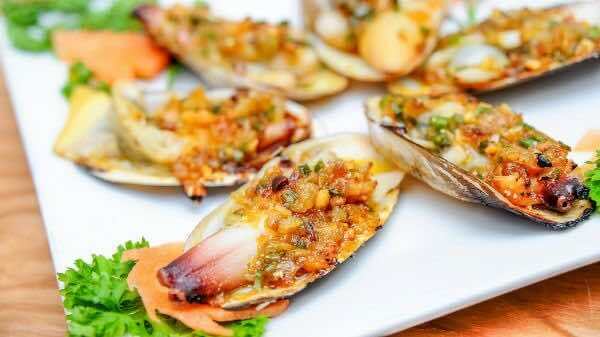 Local food here mainly consists of seafood but it has a special taste due to its unique cooking process and the taste of the coastal area. There are a number of isolated beaches perfect for a picnic or skinny dipping. Mui Ne’s public beach will be busy in the morning, but it quiet in the late afternoon and evening. To have a fine stretch of coastline to yourself, head a bit northeast of Mui Ne, past the white sand dunes. There you will find long stretches of white sand beaches that are hardly touched. Most seaside hotels and resorts in Mui Ne have their own beach and if you’re lazy, what you have to do is just step out of your room and onto the sand. 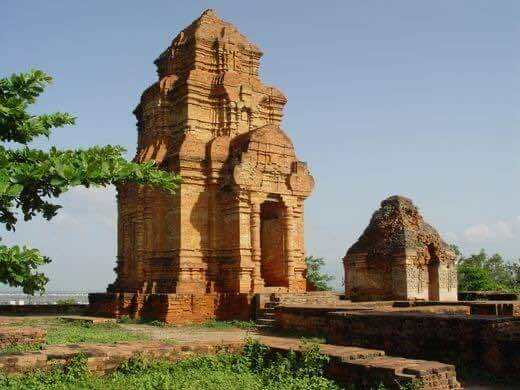 Pochanu towers are 7 km to the northeast of Phan Thiet City, are one of the most precious and important cultural vestiges of the Champa Kingdom. It can be a bit difficulty to find them as they’re off the main road, but the spot is well worth paying a visit. The crumbling Po Shanu Cham towers are a telling reminder of a once successful civilization. 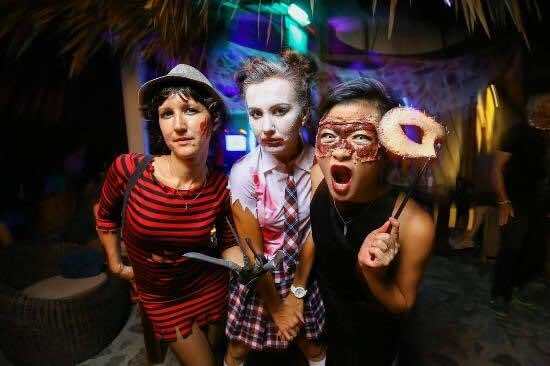 There are venues with relaxing and romantic ambiences, charming interiors and hearty services, together with an exciting and vibrant partying scene. 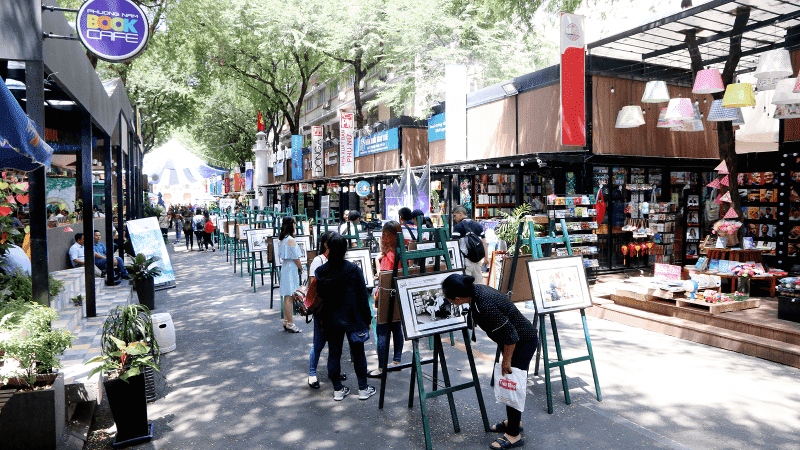 All of these share a similar best feature that everybody desires – good food with best price, friend locals, bonfire dancing, performances, the shortage of craft drink varieties. 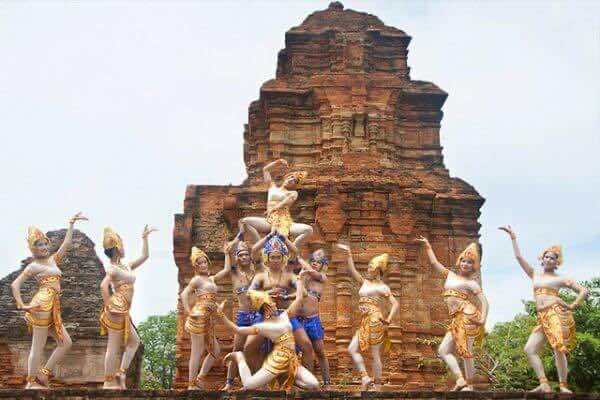 Undoubtedly, there are more fun places in Mui Ne, but I decided list only the best sites and activities for you to consider to put in your itinerary.